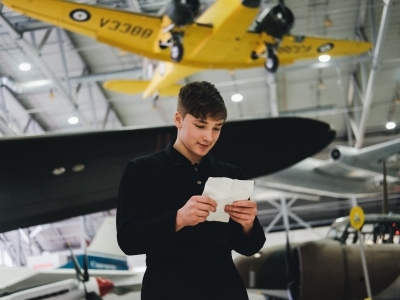 Cinderella: A Museum Adventure was an exciting collaborative project with the Imperial War Museum to coincide with the UK tour of Matthew Bourne’s Cinderella. 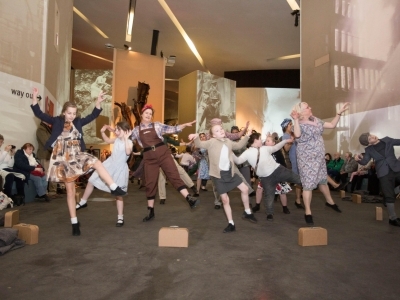 As a creative response to Cinderella, a thrilling and evocative love story, set during the Second World War, we created three bespoke dance works that were performed at the Imperial War Museum’s sites in London, Manchester and Duxford. The museums came to life with stories inspired by local heritage, stories and artefacts, all told in the New Adventures unique narrative style, with a total of 2,298 people joining us at the three events. 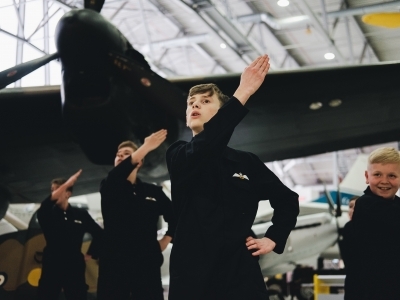 At IWM Duxford on 14 February 2018 Legacy Dance Company, a boy’s dance group created following the UK tour of Matthew Bourne’s production of Lord of The Flies danced under the planes, capturing the lives, excitement and drama of the young men sent to serve at the airfield in the RAF. Below is a video that captures the essence of our first Museum Adventure, put together by one of the Legacy dancers. 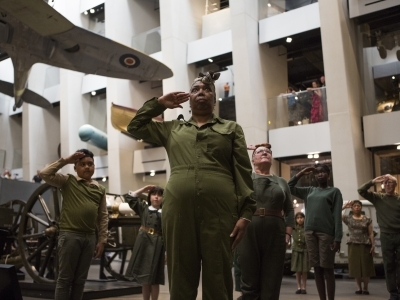 At IWM North (17 March 2018) and IWM London (23 June 2018), an intergenerational company of local older people and Primary School children responded to the war time stories and photographs that evoke themes of family, evacuation and community. The site-specific performances ran throughout the day, alongside free workshops for the audience to get involved. Open to all ages and abilities, New Adventures Dance Artists led fun, playful and creative workshops, where visitors got to learn choreography from Bourne's interpretation of Cinderella and have the opportunity to create a little something of their own.